Another DROID X Arrives Early. Last One? This is getting out of control! 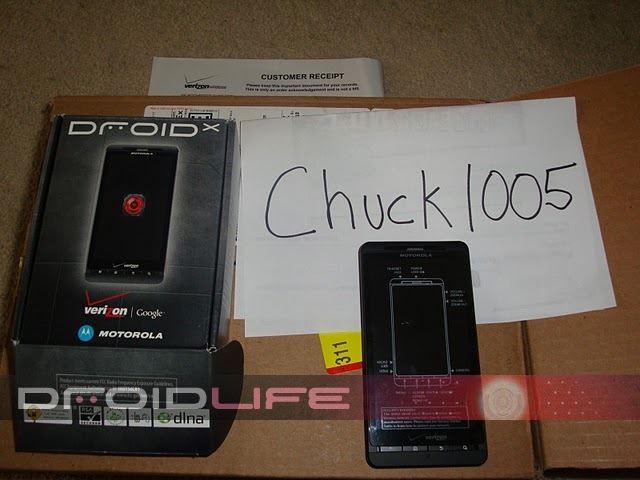 Another of our readers has received a Droid X well ahead of the actual July 15th launch date. And from what he’s told us, he ordered it yesterday morning around the time we posted our additional info on these early arrivals. Oh and don’t be surprised at the quick delivery time, I’ve ordered stuff through Big Red and had it show up over night as well. Now to counteract all of this, I have heard from countless Verizon customer service reps over the last few days who claim that this could just be hype and marketing from corporate and that the SKU for the DX has been on lock down ever since the first device arrived earlier this week. But then we got this email this morning showing that it may still be possible…one giant mystery. So here is the deal, I want to know how many of you were able to call consumer sales and actually place an order. I also want to know how many of you were denied.